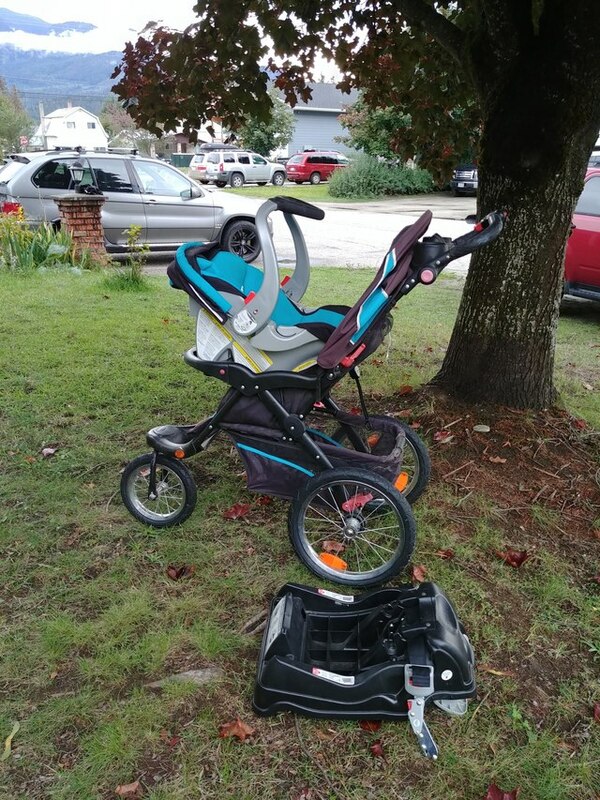 Baby Trend brand Travel System stroller/car seat combo. Car seat expires August 2019 so there's another year left on it. The infant car seat snaps into the stroller for convenience, and your baby faces you when the car seat is in the stroller (very reassuring as a brand new parent!). The stroller doesn't require the carseat once your baby outgrows it. Three rugged wheels go pretty much anywhere. Works great! (Except the cupholders are too small to fit a regular size to-go cup, whyyyyy). You also may want a newborn insert for the car seat, it didn't come with it.